Adaptive Tactical’s full line of shotgun accessories provide convenient shot shell storage ideal for home defense, sport shooting and law enforcement purposes. Nampa, Idaho (August 2018) – Adaptive Tactical, LLC, manufacturer of innovative firearm stocks and accessories, is pleased to announce it now offers a complete line of ammunition carrying options for shotgun owners. 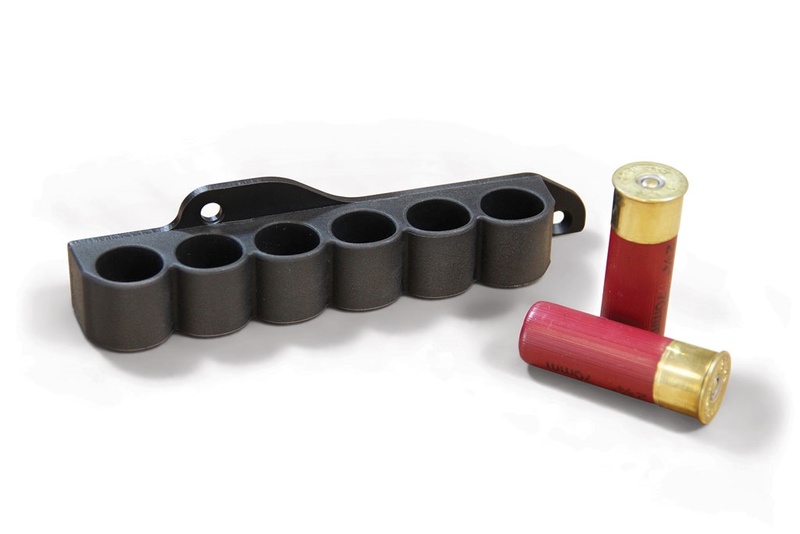 The full shotgun accessories line is focused on convenient shot shell storage that is ideal for use in home defense, sport shooting or law enforcement applications. These products include the Receiver Mounted Shell Carrier, Saddle Mount Shell Carrier, Magazine Extension Tube and the High Visibility Follower for 12 Gauge Shotguns. All products are proudly made right here in the U.S.A.
Receiver Mounted Shell Carrier for Mossberg pump action shotguns. The simple and sturdy design of the Receiver Mounted Shell Carrier, available for both Remington® and Mossberg® pump action shotguns, allows for quick access storage of up to six 12 gauge shells right from the side of the receiver. The shell carrier is made from durable, flexible non-glare chemical and weather resistant synthetic rubber that will flex to securely hold shells without losing its shape over time. 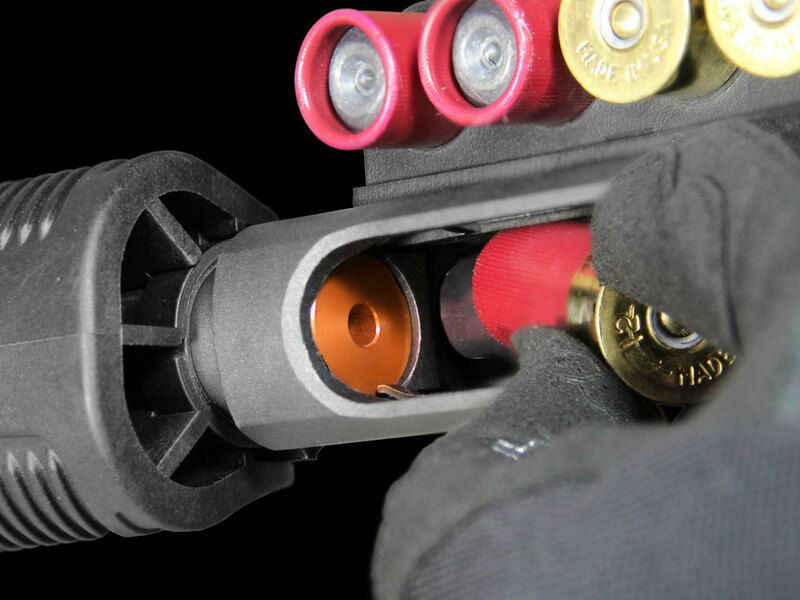 This easy-to-install and nonpermanent design will keep shells close to the receiver for faster reloads while reducing the risk of snags. The streamlined, lightweight Receiver Mounted Shell Carrier features a shaped mounting plate which fits closely to the receiver’s contours. 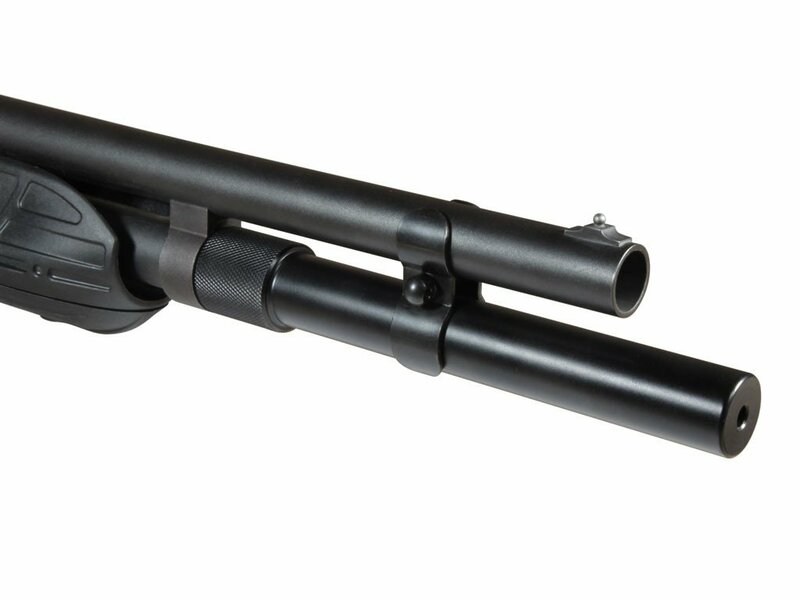 The Receiver Mounted Shell Carrier for Remington Shotguns is compatible with Remington 870, 1100 and 11-87. The Receiver Mounted Shell Carrier for Mossberg Shotguns is compatible with Mossberg 500, 88 and 590. Both Carriers are 6.75” long and weigh 5.3 oz. (152 g.). MSRP $39.99. The Saddle Mount Shell Carrier, available for Mossberg and Remington pump action shotguns, is made from streamlined, lightweight aluminum. This easy-to-install, non-permanent design fits closely to the receiver’s contours, keeping six 12-gauge shells close for rapid reloads. The low-profile Picatinny rail design allows for use of factory bead site, as well as for optics and other accessories. The chemical and weather resistant synthetic rubber will flex to securely hold shells, yet will retain its shape over time. It is designed to fit the Remington 870, 1100 and 11-87, as well as the Mossberg 500, 88 and 590 pump action shotguns. MSRP $93.99. 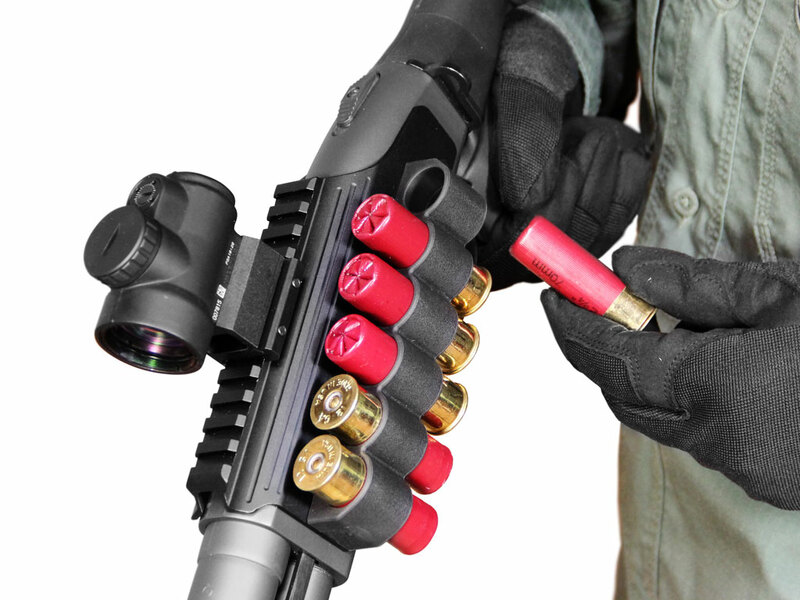 The Magazine Extension Tube for 12 Gauge Shotguns allows for additional rounds to be added to a shotgun’s capacity and is available in a 7-Shot and 8-Shot version. 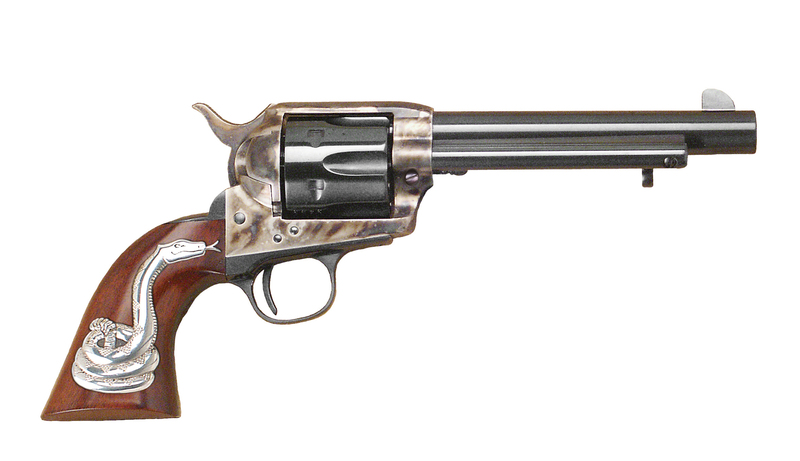 The 7-Shot version adds two more rounds, while the 8-Shot version adds three additional rounds. Machined from chromoly steel with a high-compression internal spring, steel barrel clamp and a machined, anodized follower, the Magazine Extension Tube will provide long-lasting durability. The 7- and 8-Shot versions are compatible with Remington 870, 1100 and 11-87 pump action shotguns. The 8-Shot version is compatible with Mossberg 590, 930 and 935 pump action shotguns. The 7-Shot version is compatible with the Benelli® Nova pump action shotgun. MSRP $72.99. 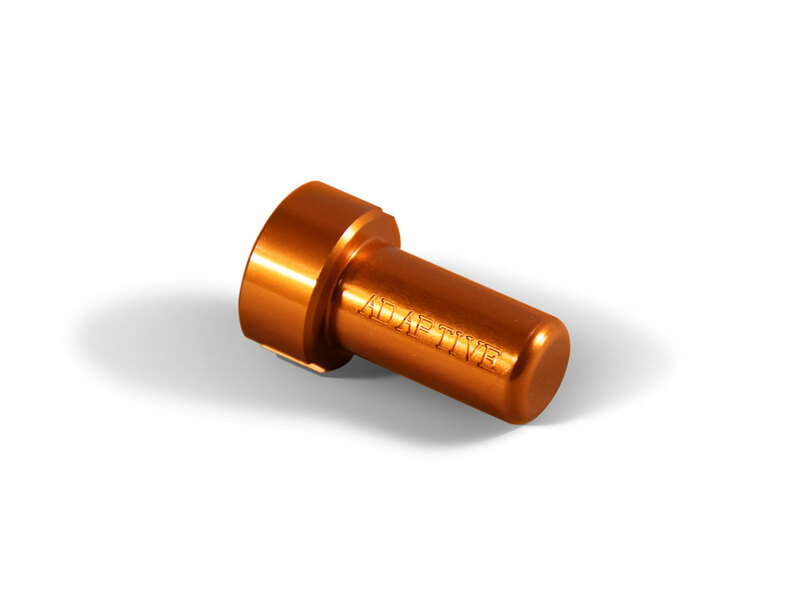 The High Visibility Magazine Shell Follower for 12 Gauge Shotguns is machined from durable 6262-T9 grade aluminum. The high visibility anodized color makes it easy to confirm the shotgun magazine is empty, while the engineered follower shape improves speed and function compared to a factory follower. MSRP $11.99. For more information on Adaptive Tactical and other shotgun accessories, or for dealer inquiries, visit www.adaptivetactical.com.